MANILA–Alleged scammer Xian Gaza’s “Hollywood-level” narrative of how he flew out of the country is “preposterous,” the Bureau of Immigration said Monday as it mulled legal action against him. Gaza, who first became popular in 2017 after he publicly invited actress Erich Gonzales on a date, claimed in a viral Facebook post on Sunday that he sneaked out of the country last year despite having 3 warrants of arrest. 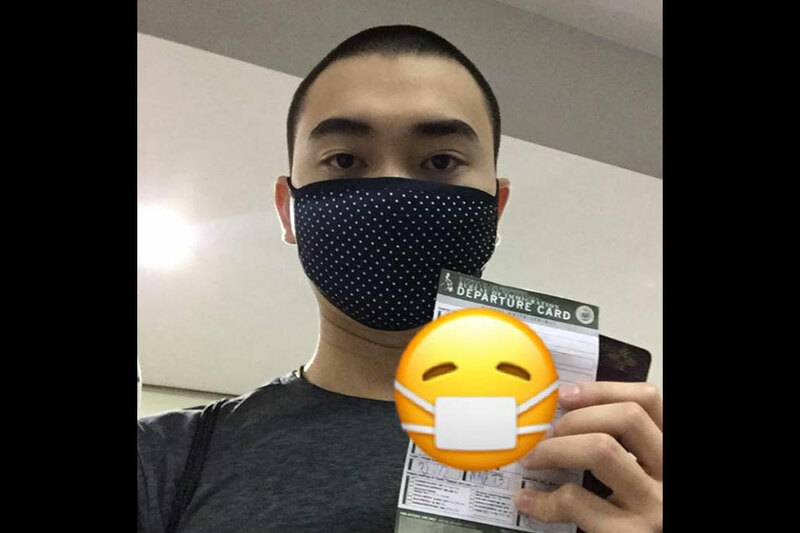 Gaza said he checked in online for 2 decoy flights and waited for check-in counters to close before boarding his flight to Hong Kong, risking being left behind by the aircraft. He said he passed through immigration officials since there was no hold departure order issued against him. He also claimed that he hid in the plane’s restroom to evade the airport police, who supposedly searched for him in his decoy flights. A person who has a hit in BI’s database due to an existing Hold Departure Order or warrant of arrest will immediately be barred from flying out, said Sandoval. “In his (Gaza’s) case there was none when he left,” she said. Gaza’s supposed conversation with an immigration officer did not happen, she said. “The story is preposterous, similar to other claims he made in the past. If you know regular airport procedures, his story sounds silly. Ang daming loopholes,” Sandoval said. Gaza’s viral post, she said, is a “cause for concern” and BI is studying possible actions against him. Gaza was arrested in April 2018 for violating the Anti-Bouncing Checks Law over an investment scam. He was released on bail a day later. Gaza also invited actress Myrtle Sarrosa out on a movie date, only a few weeks after he was arrested. He said he is now working on getting a new identity and new citizenship in a Latin American country.